If you are buying a home in Collingwood in 2017, you may be in for a bumpy ride. Of course, choosing the right real estate professional will ensure that you get through it as smoothly as possible. Here are five things you need to know if you plan to buy a home in 2017. Last year was a complete seller's market due to a lack of listings and the number of listings have not being this low since 1999. The near-record low supply of homes that we were faced with last year in the Collingwood area is now half of what it was then. With a smaller range of choice of homes, buyers will have to make some sacrifices regarding exactly what they need in a home. Because of the lack of inventory, sellers are also increasingly raising the prices of their homes and price growth is definitely a major concern of Collingwood buyers. The average price of a home in this region increased almost 30% from last year, but residential listings decreased by 37%. Because there is a lack of listings, but no lack of buyers, competition is huge in the Collingwood real estate market. Expect then that you may see bidding wars or homes selling immediately upon being listed. If you are buying a home in Collingwood in 2017, expect to make a quick decision so as not to lose out on your desired home. In even worse news, interest rates are starting to rise. 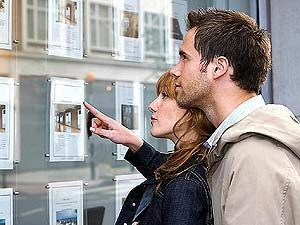 So, not only will you pay a hefty sum for your purchase price, your mortgage payments will be increased that much more by increasing interest rates. While the rate rises are small at this time, it is expected that there may be another two or three instances of rate rises in 2017. You can partially thank Trump for that one, due to the increase in the U.S. economy and the American dollar. Last year, the government set a number of new regulations in place in order to cool the market and ensure that first-time homebuyers were well equipped for purchasing a home. Ensuring that if interest rates did rise that first-time homebuyers would be able to make their mortgage payments, the new stress test ensured that these buyers qualified for quite a bit less overall. With the lack of listings in low-rise housing, many buyers are turning to the alternative -- condos. Condo living is becoming the norm for singles, couples, families and retirees all over the province and Collingwood is no exception.